Ionad Cultúrtha an Phiarsaigh, Conamara, was one of the Government’s major capital projects at the centre of the Historical Reflection strand of the Ireland 2016 Centenary Programme. This new visitor centre on the site of Pearse’s Cottage was launched in November last year and it has been received exceptionally well by both tourists and the local community. 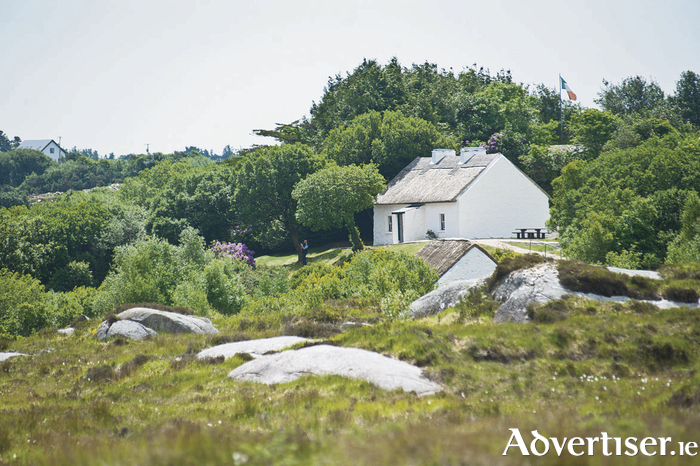 The visitor centre houses an interactive exhibition that tells the story of Pearse’s legacy, and explores the attributes that drew Pearse to Connemara. The exhibition brings to life the area’s unique landscape and history, the ancient Gaelic culture and language, and the site offers visitors stunning 360 degree views of Connemara. “Our visitors really enjoy the looped trail across the bog to visit Pearse’s Cottage, which is just as it was when he left the cottage for the final time in 1915,” said Cillian de Grás, supervisor at Ionad Cultúrtha an Phiarsaigh. “Our local guides who are steeped in Connemara’s vibrant culture help visitors to become immersed in the traditions of Connemara and the self-guided visit to the visitor centre reflects the very best of 21st century heritage and culture interpretation. “The visitor centre was recently shortlisted in the AHI 2017 Discover Heritage Awards, which recognise excellence in the interpretation of cultural and natural heritage throughout Britain and Ireland, and we are thrilled to be in the running for such a prestigious award. We will know our fate in October,” he added. Ionad Cultúrtha an Phiarsaigh is open daily year-round. It has ample parking for cars and coaches, and a café. Standard adult admission is €5 with concessions for seniors, students, and families.